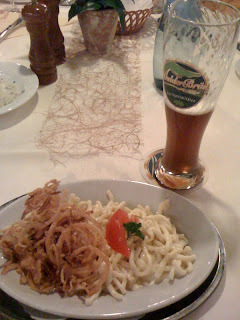 Or "German mac und cheese" and a dunkel weiss bier, just two of many ways to gain weight while in Germany. Two very delicious ways. Especially when topped with fried onions.